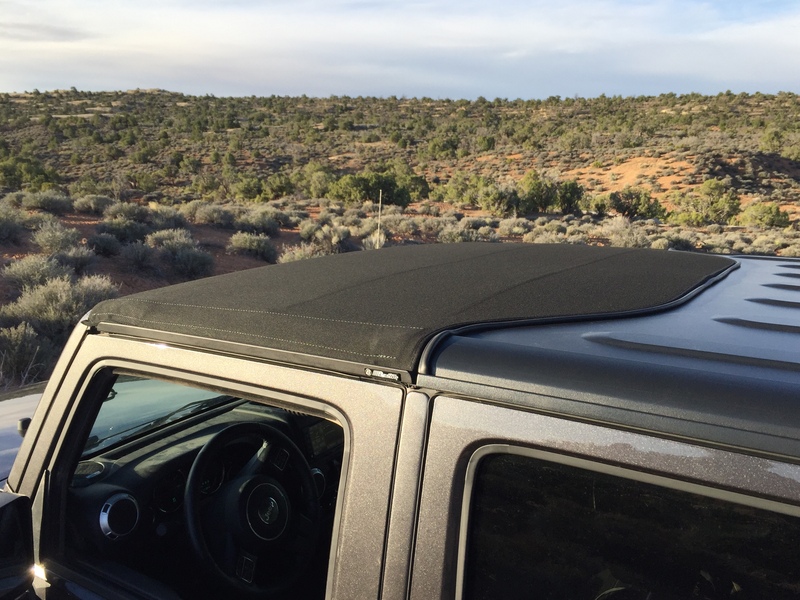 I’ve had both a hard top and a soft top for my Jeep since I bought my first JK back in 2010. At the beginning I used to put the soft top on in the spring and then switched back to the hard top before winter, however the past few years I have not installed the soft top at all. While I liked being able to flip open the Sunrider top I really disliked dealing with the zippers and velcro that are part of the back windows. 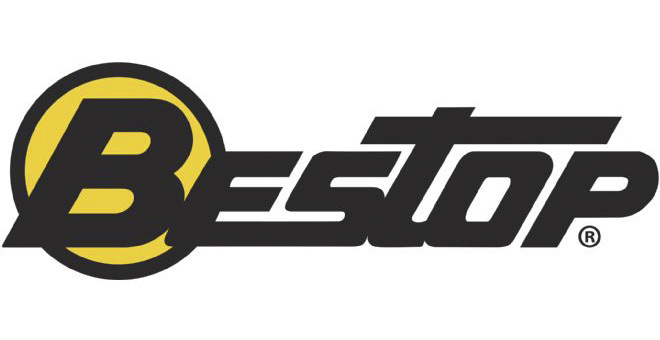 When I became aware of the new Bestop Hardtop Sunrider that came out last year I was very interested. 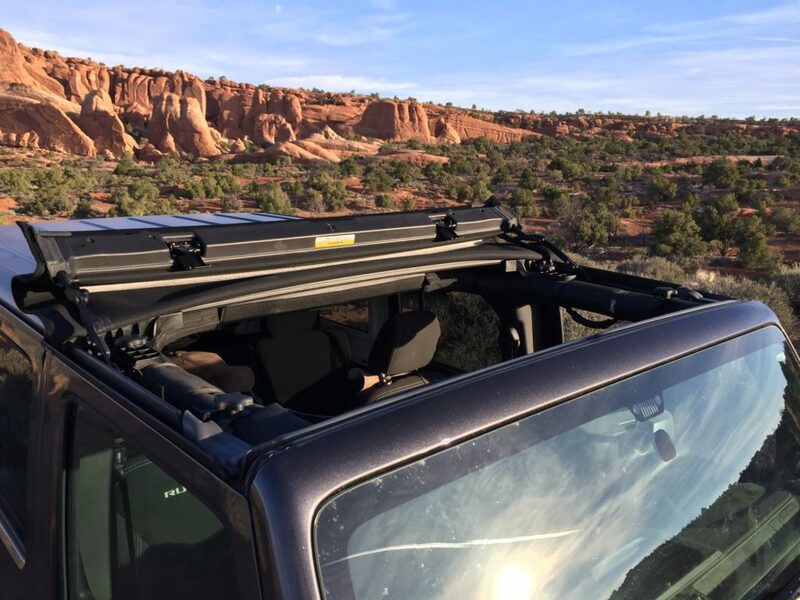 This top basically replaces the Freedom Panels that are above the driver and passenger seats and leaves the back part of the hardtop on the Jeep. 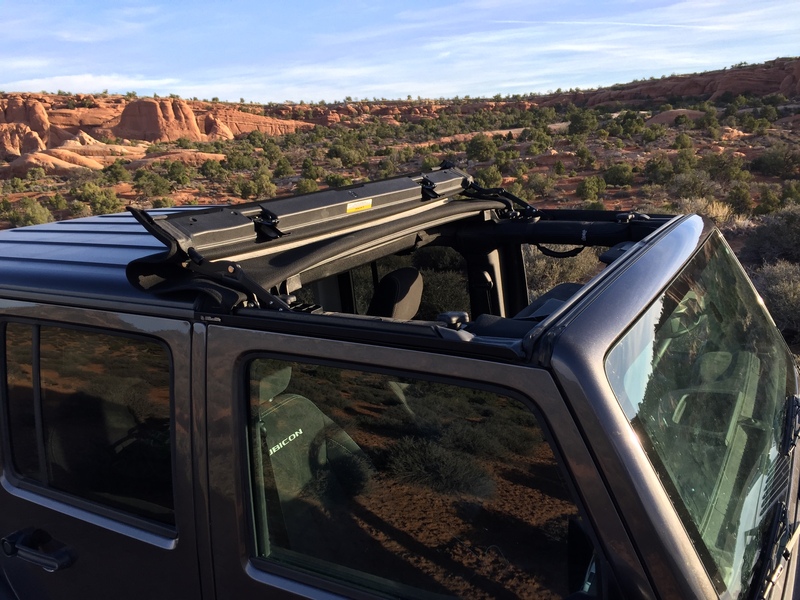 This looked like it would be an ideal solution for me- I could still flip open the top and not have to deal with zippers when loading and unloading the back of the Jeep (or deal with finding somewhere to store the Freedom Panels in the back of the Jeep). 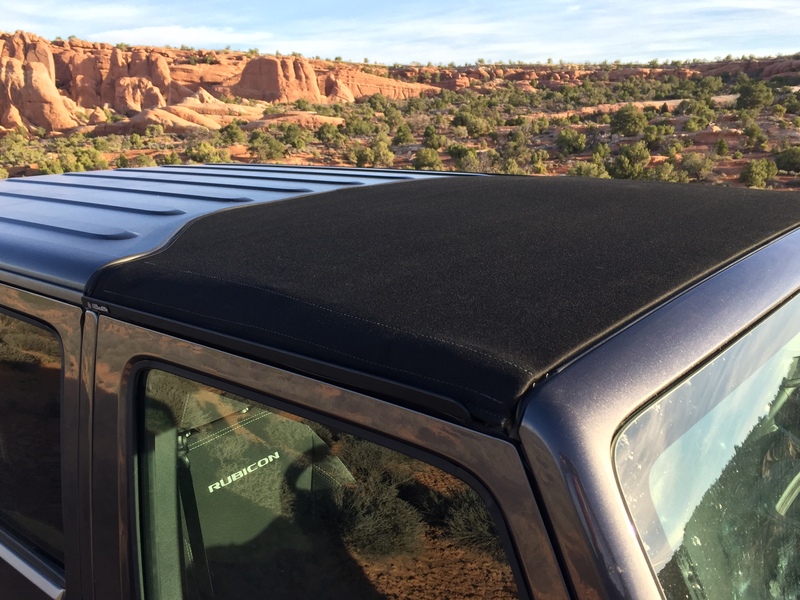 The Bestop Black Twill Hardtop Sunrider installed on my Jeep. When I returned from our honeymoon I placed an order for the top so I could use it this spring, and it arrived on Thursday. I installed it after work yesterday evening which only took me a little over an hour. It could have taken less time, but I had a little trouble getting some of the bolts lined up and started. Aside from that it was a very easy installation. 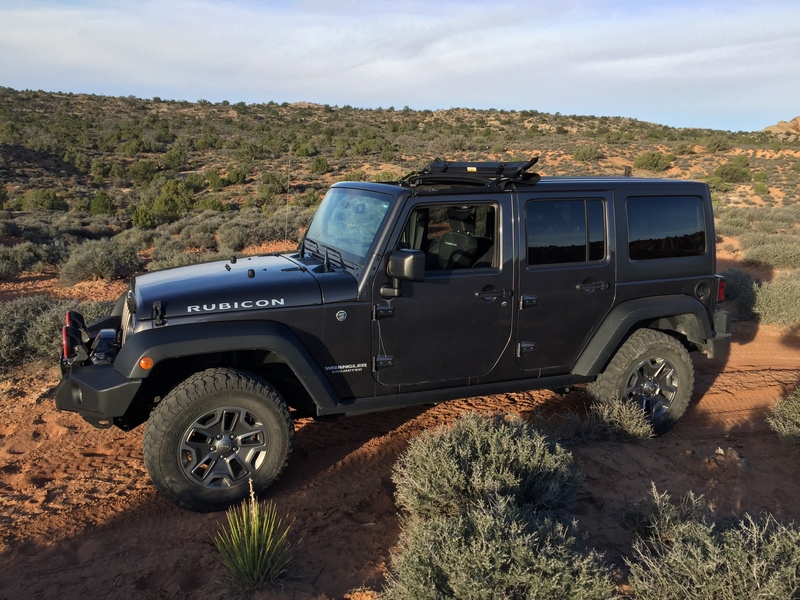 I went hiking near Arches National Park this morning so I got to see how the top performed on the Interstate at 80mph and off-road. Obviously, there is a little more road and wind noise, but it’s certainly not as much as when I ran the complete soft top. Plus, this is a Jeep not a luxury vehicle…just turn up the stereo! It’s really easy to open and close- I can do both while staying in my seat with my seatbelt on. That’s very nice since I had to get out to open the top on my previous soft top. So far I like the features of this top and I think it will fit my needs nicely. I spent a little extra for the Black Twill and I must say that it’s a very nice fabric! 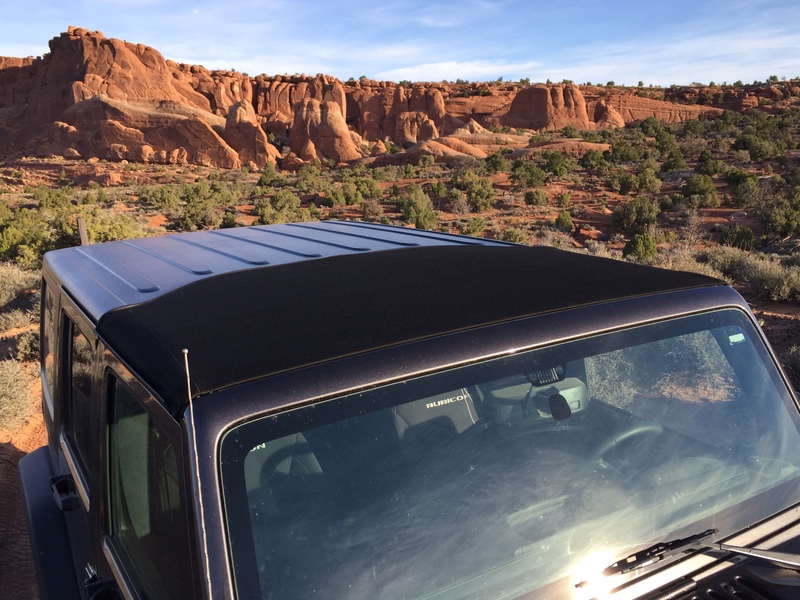 Here are a few iPhone photos I took this morning of the top installed on my Jeep. Here’s the new top closed. Back side of the top. If you have any questions, feel free to ask in the comments below and I will do my best to answer.